Furnace Engineering offers a wide range of Environmental Chambers. 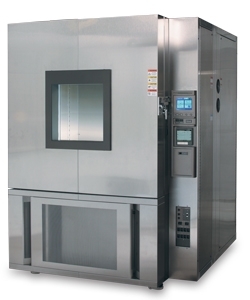 Extremely accurate temperature and humidity tolerances can be achieved in both steady state or temperature/humidity cycling ranging in temperatures from -85°C to 300°C, humidities of 5% to 98% RH and fast temperature ramp rates of up to 15°C/min. Options such as sunlight simulation and radiant heat loading can additionally be supplied to meet our customers’ requirements.